In Barcelona this past June, I had to say a tearful farewell to the backpack I had used since college. I didn’t have the heart to throw it away myself – I left a note for my Airbnb host asking him to take care of it after I left. The waist belt had ripped off when it was loaded onto a cruise ship, and without the belt, it was too uncomfortable to carry. So I bought a cheap suitcase with wheels in a souvenir shop to use for the duration of my trip. It was much easier on my back, but it was difficult to drag over cobblestones and maneuver through crowded metro stations. 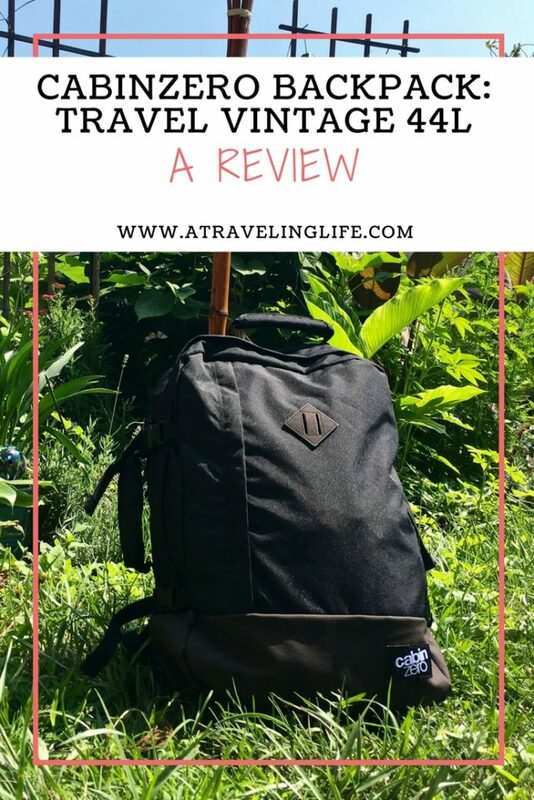 Luckily, not long after I returned home from Europe, the CabinZero Travel Vintage 44L backpack came into my life, and my old backpack became a distant memory. 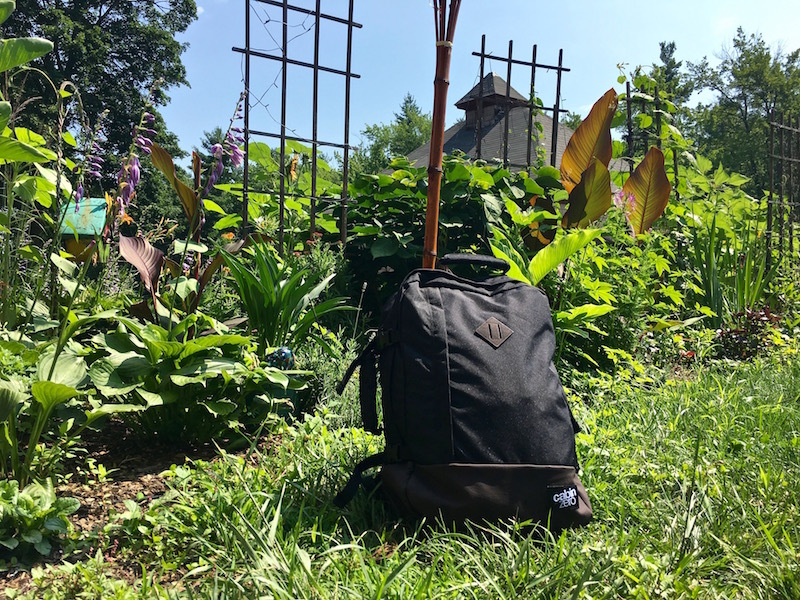 Because of its durability and versatility, my CabinZero bag quickly became my go-to for road trips, weekend trips within the U.S. and even international trips. Not only has it suited my needs for all of these different experiences, but it also has held up to a lot of wear and tear. CabinZero is a British company that was founded in 1993 by experienced backpacker Neil Varden. 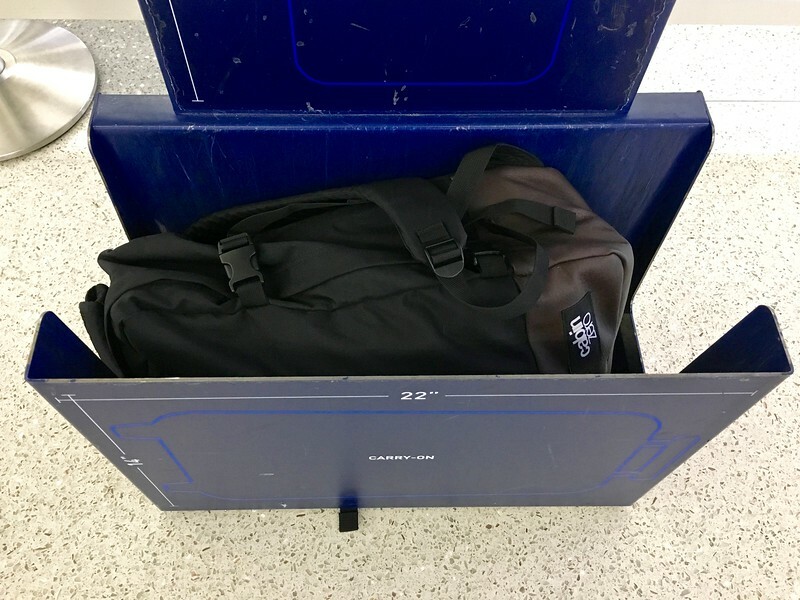 He had a hard time finding a bag that was small and light enough to use as a carry on yet could withstand being thrown on and off planes, trains, cars, and bikes in far-flung destinations. He decided to make his own “adventure-proof, cabin-sized” backpack, and CabinZero was born. As much as I possibly can, I try to make sure my hard-earned dollars are supporting responsible companies that respect both their workers and the planet. I can feel good about my CabinZero bag because the company is serious about its commitment to sustainability. The company has a strict “no sweatshop” policy – all factories are selected personally by Neil, the CEO, and checked up on often. To limit the impact it has on the environment, CabinZero bags are made from high-quality materials that pass regulatory tests in Europe and beyond. And they are made to last a long time, so they don’t end up in landfills. I first used my CabinZero bag during a road trip to the Green River Festival with my Dad. 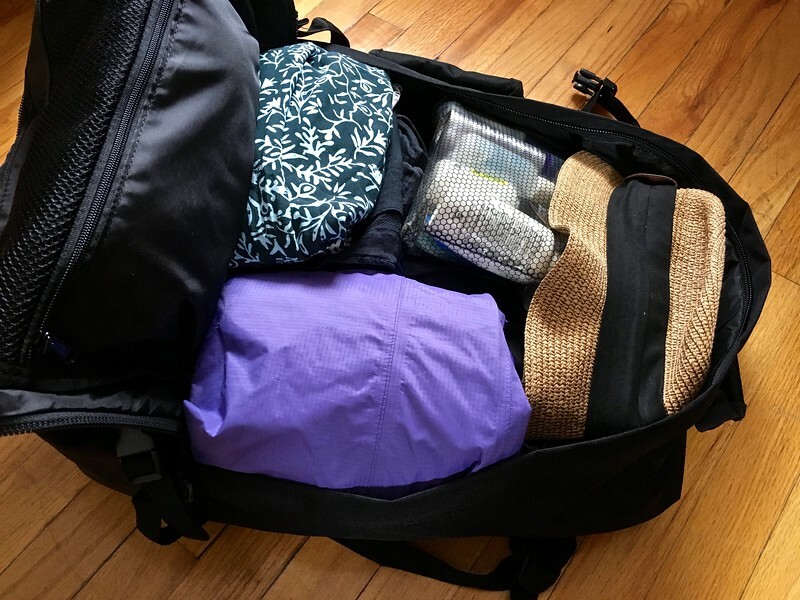 I find that my packing tends to be a little sloppy for road trips, since I don’t have to carry my bags too far, and whatever doesn’t fit in them can get tossed in the trunk. CabinZero’s open design was perfect for just being able to “throw and go” for a trip like this. This is where CabinZero truly shines. 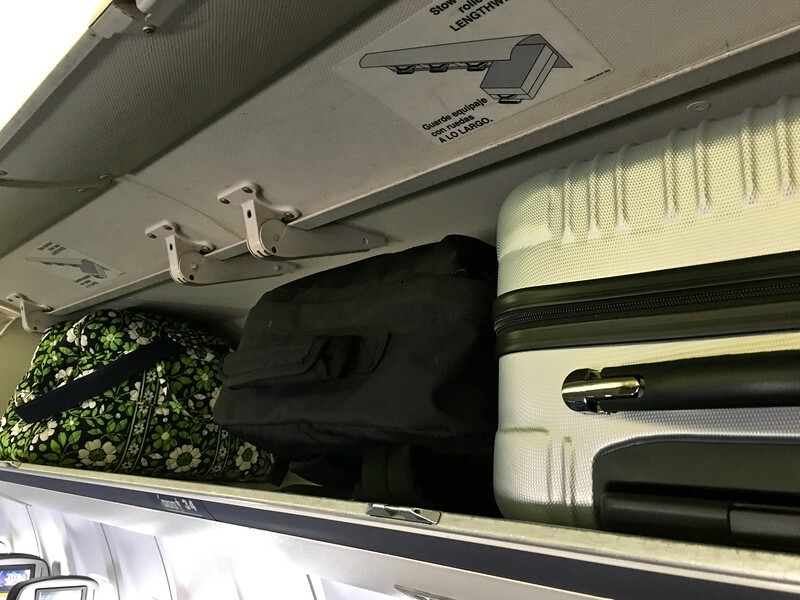 I have used my bag several times now as a carry on when flying domestic (U.S.) airlines that have strict size regulations due to limited space in their planes’ overhead compartments. I found that it was so easy to carry the bag through airports, and get it off and on planes. It also was nice not having to worry about if my wheeled suitcase would fit in the overhead, and I’d have to gate check it instead. When I went to Guatemala in November, and I thought my wheeled suitcase would be too inconvenient to carry both through the jungle of Flores and the streets of Antigua, so I used my CabinZero bag instead. I needed to check the bag on my flight there and back, which made me a little nervous because checked bags can take a beating, but the bag survived the journey unscathed (I did lock both zippers). Even fully packed for a week-long trip, the CabinZero Travel Vintage 44L backpack is still well within the standard carry-on dimensions. It’s very lightweight. It only weighs 1.7 lbs. It’s durable. It’s held up very well over multiple trips, even being checked as baggage. The zippers seem very sturdy as well. It’s comfortable. It’s shorter and wider than most hiking backpacks (51 x 36 x 19 cm), but still comfortable to carry when packed fully. It sits nicely on my back, and the thick, padded shoulder straps help when carrying it for long distances. There are side and top handles too, which help when lifting it out of the trunk or overhead compartment. It’s waterproof. It’s made of waterproof polyester, so you don’t have to worry if you get caught in the rain. Each CabinZero bag has a built-in lost-and-found tag, so you can trace yours if it’s lost or stolen. (I still need to activate mine!) It also comes with a 10-year warranty. (You can chose to upgrade it to 25 years). 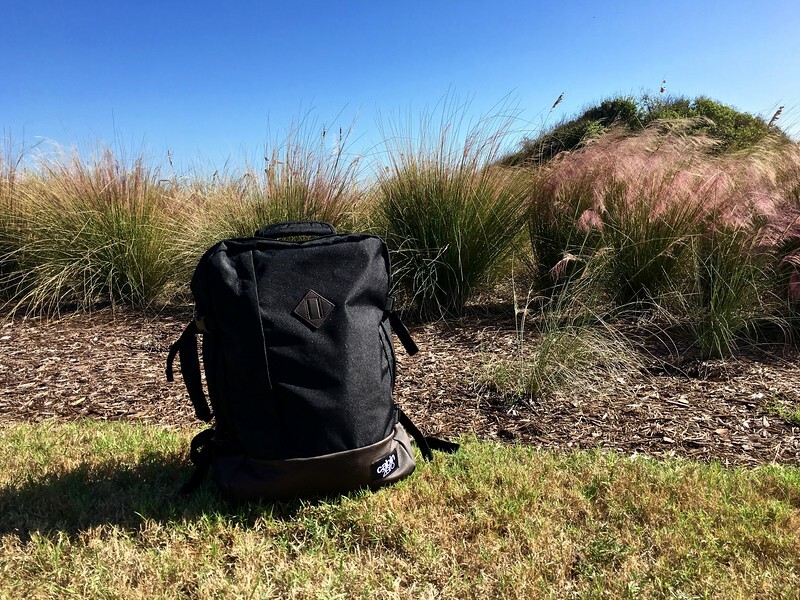 Unlike other backpacks, the CabinZero backpack has a top handle, which makes it easy to transport. 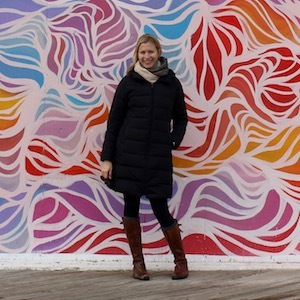 One feature I loved about my old backpack was that it had an attached flap of fabric – it tucked into a velcro pouch when not in use – that would zip around the straps to keep them from getting caught or ripped during transport. I really wish my CabinZero bag had this feature, so I could feel better about checking it as baggage. And this is very minor, but there is a narrow mesh pocket inside on the top that doesn’t seem to have any purpose. It’s too loose to hold anything, so I wish it had a zipper on it or drawstring to help it hold smaller items. I’m heading to Iceland and Copenhagen next week, and once again, my CabinZero bag will be making the trip with me. What’s your favorite go-to bag? 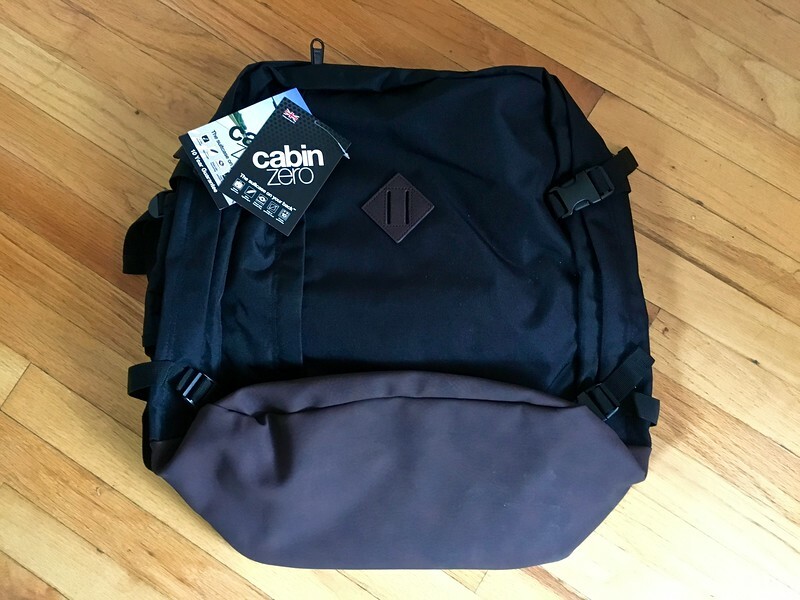 For the purposes of this CabinZero backpack review, I was provided with the £70.00 GBP bag in Absolute Black. All opinions are my own.